EAST BREMERTON — The Knights are entering a critical stretch of games as they make a push for the playoff spot. But first they had to square off with their crosstown rival. Bremerton picked up an important three points on Tuesday night, defeating the Trojans 2-1 to move into sole possession of fourth place in the Olympic League as the regular season begins to wind down. Raul Islas-Barojas and Ian Stuart scored second half goals for the Knights, who also benefited from North Kitsap’s 5-2 win over Kingston. The two teams were tied heading into Tuesday’s matches. “I think that’s our best shot at getting our fourth spot,” said Bremerton head coach Randy Lund. The Knights have important games against both Kingston and North Kitsap next week. But Bremerton couldn’t afford to look too far ahead. The Trojans’ 1-9 record isn’t reflective of their level of play and always bring their best when the Knights make the trip up Route 303 to Integrity Stadium. “I always tell these kids, ‘If you think you’re just going to show up at Olympic High School and win, you’ve got another thing coming,’” Lund said. Olympic had a couple of good opportunities in the first half. Benjamin Hanson nearly put the Trojans up 1-0 nine minutes into the game when he got his head on a corner kick. The shot went straight into the crossbar and was cleared away. In the 35th minute, Lukas Smukowska’s free kick from 25 yards was punched away by Bremerton keeper Zachary Storey. Three minutes later, Owen Lewis fired a ball that came loose during a scramble just a few inches over the bar. Six minutes into the second half, Evan Frankowski sent a long pass up the middle directly to the foot of Islas-Barojas, who broke in all alone on net, out-maneuvered the keeper and slid the ball home to give Bremeton a 1-0 lead. The Knights added on an insurance marker in the 58th minute as Stuart plucked the ball loose from a crowd in front of the Olympic net and fired it in. Trojans keeper Cadyn Kinsfather kept his team in the game, making some enormous saves as Bremerton continued to open up chances for their forwards. In the 55th minute, Kinsfather got his hands on a shot by Islas-Barojas that looked destined to find the back of the net. Frankowski nearly got on the board for Bremerton as well, but Kinsfather made a stop on him from point-blank range. His team nearly made him a hero as Olympic midfielder Maynor Sutuj connected on a strong free kick to cut the lead in half with three minutes to go. The Trojans pushed hard to tie it up in the dying minutes, but ran out of time and the Knights were victorious. 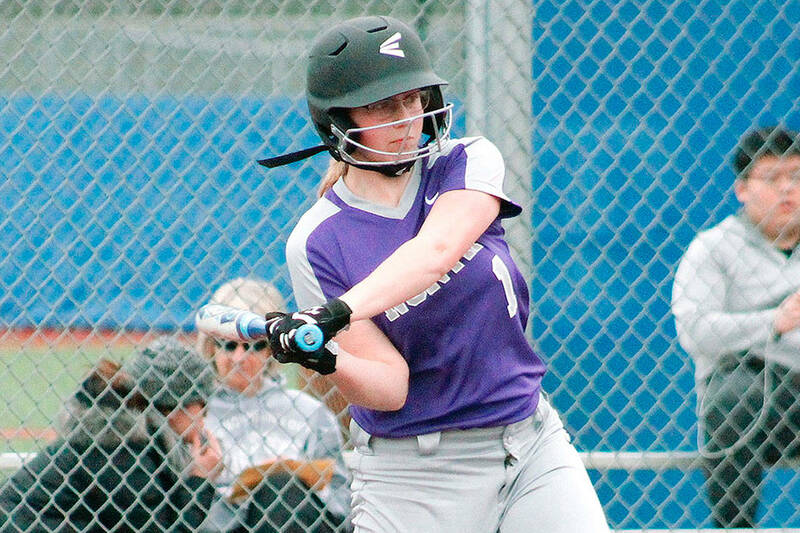 Bremerton returns to action Friday as first place Sequim comes to town. The Knights have a home game with North Kitsap on April 16 and then an away game at Kingston on April 19. It’s a slate of games that will go a long way toward determining which teams will get playoff spots. “We’ll take them one at a time,” Lund said. Second half — Brem, Raul Islas-Barojas (Evan Frankowski), 46th; Brem, Ian Stuart, 58th; Oly, Maynor Sutuj, 77th.